Does LPA allow the Attorney(s) to deal with my affairs after I have died? 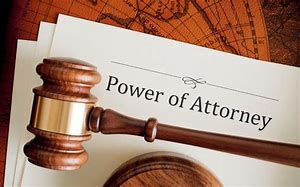 Lasting Power of Attorney stops when someone dies in the UK and their Will (if one has been made) then takes effect, and the executors of the Will can then deal with the contents of the Will. Let’s face it, nobody likes the thought of losing a loved one. During the grieving process, reporting the death to the necessary institutions, such as banks, can be difficult. Just like the banks, the Office of the Public Guardian will need to be informed of the Donor’s death. All certified copies of the Lasting Power of Attorney document. You can contact the OPG to inform them of the Donor’s death and they shall explain the procedure of Lasting Power of Attorney when someone dies. My parent is in the early stages of dementia. Can I still take out LPA on his/her behalf? Why would I need LPA? I’m in perfectly good health. What Are The Two Types of Lasting Power of Attorney? Why would I need ‘Replacement Attorneys’?